Who should read this book? Residents in the United States of America, Central America, South America, Canada and Europe, who are interested in starting an import business. They should know how to do it and what to watch for. Manufacturers and exporters in Asian countries, such as China, Taiwan, Hong Kong, the Philippines, Malaysia, Indonesia, Singapore, Vietnam, and India etc. who are interested in exporting products to the USA market. They should know the market condition and the mentality of the society they try to do business with. 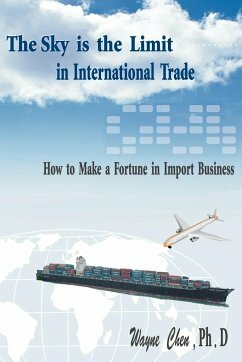 The U. S. and Canadian importers who are already in business will benefit from this book also. If there is one and only one idea or one sentence in this book which helps them improve their business and prevents them from making a costly mistake in their business, then the tiny cost of this book is well worth the benefit.